This quote, featured on a lakeside, granite statue near my home, continues to be a source of inspiration for the work of the Center for Life Transitions. 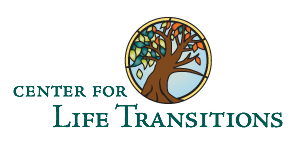 We’re excited about the response to the LifeShift: Work & the Christian Journey at the Jesuit Center in Wernersville, PA—we had 21 participants for the September 14-16 retreat with 12 on the waiting list. We hope this will be the first of similar partnerships with Jesuit Retreat Centers across the country. Slideshow of the Wernersville LifeShift coming soon. A new partnership has emerged with Alverno College in Milwaukee. The workshop, Job Search Courage: Looking Inside & Out for Hope & Help was offered October 18, 2012. A one day LifeShift is being offered on March 2, 2013. The Center is looking for a new home. In the meantime, the St. Ann Center for Intergenerational Care graciously provides its beautiful facility in St. Francis for meetings, administration, programs and coaching/counseling. An RFP has gone out for a Development and Grant Writing professional for the Center. A talented group of applicants have responded. We’re moving ahead to conduct leading research on transition and spirituality, focusing on Gerotranscendence—the final stage of life where we discover greater wisdom, understanding and connection to God. The Center has committed to presenting weekly ideas and information for you on the website’s new blog, TranSpirations. Each month, through weekly posts, a new theme will hopefully educate and inspire readers on useful transition topics. Thank you for your continued support of The Center for Life Transitions.